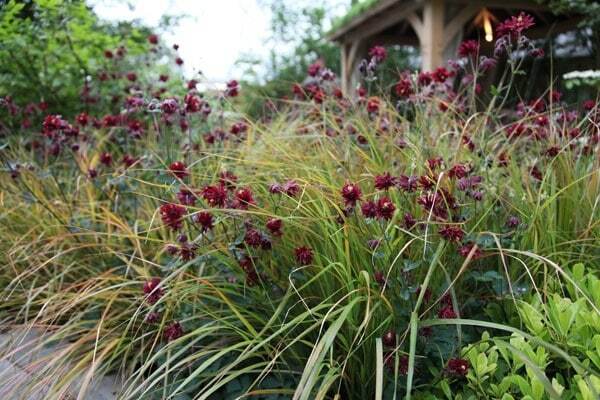 Fully double, deep maroon, nodding flowers sit on top of stiffly upright stems from early summer. The rich colour of this columbine works well with other ‘bruised’ tones, sulphur yellows and acid greens. Garden care: Lift and divide large clumps in early spring and apply a generous 5-7cm (2-3in) mulch of well-rotted manure or garden compost around the plant. Divided specimens may take some time to establish since they don't like having their roots disturbed. Beautiful, but slugs love it! Beautiful as all aquilegia are. Unfortunately the slugs and snails love to eat it. A little disappointed as it was sold as part of a slug resistant plant! Beautiful colour, tall so stands above other plants, healthy plants. Doesn't seem to be winter hardy, but it is in a shadier part of the garden. attractive flowers but didnt do anything the second year which could have been my fault-maybe planted in wrong place? Hello, Most aquilegias (including this one) are promiscuous, so their seedlings often differ from the parent plant.